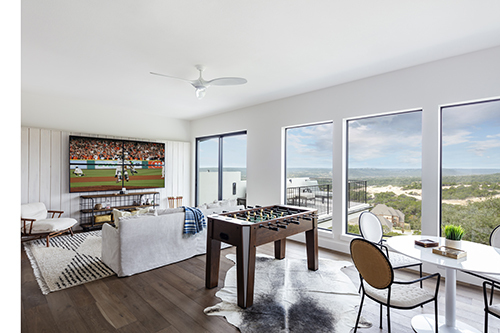 CARLSBAD, CALIFORNIA, March 26, 2019 — Nortek Security & Control, a global leader in wireless security, home automation, access control and health and wellness technology, today announced that its ELAN® Entertainment and Control System was recently featured in two Texas residences as part of the Austin Parade of Homes, organized by the Homebuilders Association of Greater Austin. 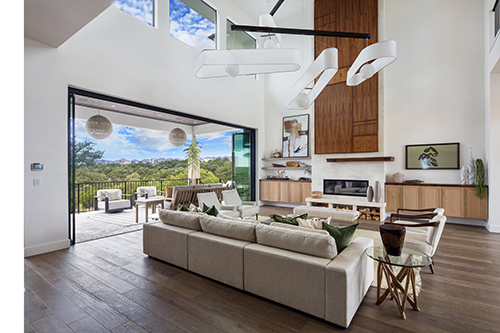 According to Scott Ruzich, President and CEO of Epic Smart Homes and Epic Interior Designs, the ELAN system, along with SpeakerCraft®, Sunfire®, and Panamax® products, contributed to one house winning “Best Smart Home” and the other winning the People’s Choice Award. 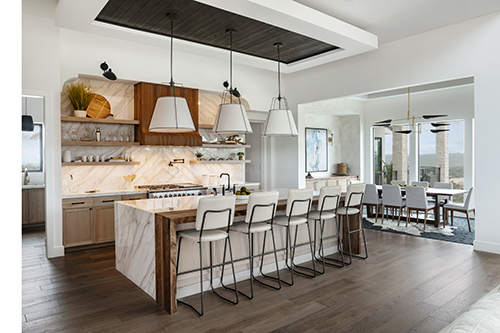 Epic Smart Homes’ mission is simple: to build the kind of environment for client homes or projects that is stress-free, easy to use and complete. Through it all, the company strives to deliver superior and exceptional customer service and support, while providing the newest forms of technology and interior design that help usher in a lifestyle of luxury, simplicity, convenience, energy management and peace of mind. For more information, visit www.EpicSmartHomes.com. Nortek Security & Control LLC (NSC) is a global leader in smart connected devices and systems for residential, security, access control, and digital health markets. NSC and its partners have deployed more than 5 million connected systems and over 25 million security and home control sensors and peripherals. Through its family of brands including 2GIG®, ELAN®, Linear®, GoControl®, Mighty Mule® and Numera®, NSC designs solutions for security dealers, technology integrators, national telecoms, big box retailers, OEM partners, service providers, and consumers. Headquartered in Carlsbad, California, NSC has over 50 years of innovation and is dedicated to addressing the lifestyle and business needs of millions of customers every day.